Casinos in Atlantic City have been through a torrid time in 2014 with gambling revenues falling significantly resulting in the closure of 4 Atlantic City casinos. The Division of Gaming Enforcement (DGE) are now tasked with reviving New Jersey’s struggling casino market and increasing overall gambling revenue in 2015. Back in October 2014, the DGE asked casinos across the state to come up with new marketing plans and innovative promotions that will rekindle the interest of gamblers in New Jersey and kick-start the struggling industry. Casinos in New Jersey were asked to add new games to their casino floors and network better with skill and social game developers in order to use innovative technology to boost casino revenue. 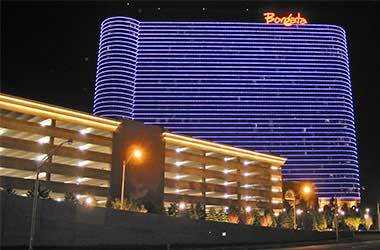 The Borgata Hotel Casino & Spa in Atlantic City has decided to host the first ever skill based gambling tournament in March. The move is a direct result of the DGE’s campaign to try out innovative social and skill games and if successful, the Borgata will follow up with similar events on a monthly basis. The casino confirmed that it will host the first ever $10,000 Guaranteed Basketball Free Throw Tournament on the 21st of March in the Signature Room. The Borgata submitted this skill based game for approval and the DGE had no concerns in approving as this is precisely what the DGE expects from casinos in Atlantic City. The event is extremely simple to follow and is expected to draw a large number of players who literally have a shot of making money while have a lot of fun. Players will have a $20 buy-in and have the option of a second rebuy to see if they can perform any better. They will have to shoot free throws and have 3 rounds with each round having a 90 second deadline. The player who wins 1st place will receive a prize of $5,000, the player who comes in second will receive $3,000 and the 3rd and 4th place finishers will receive $1,000. Hello, my name is Paul Butcher and this is my dedicated website for all things gambling.